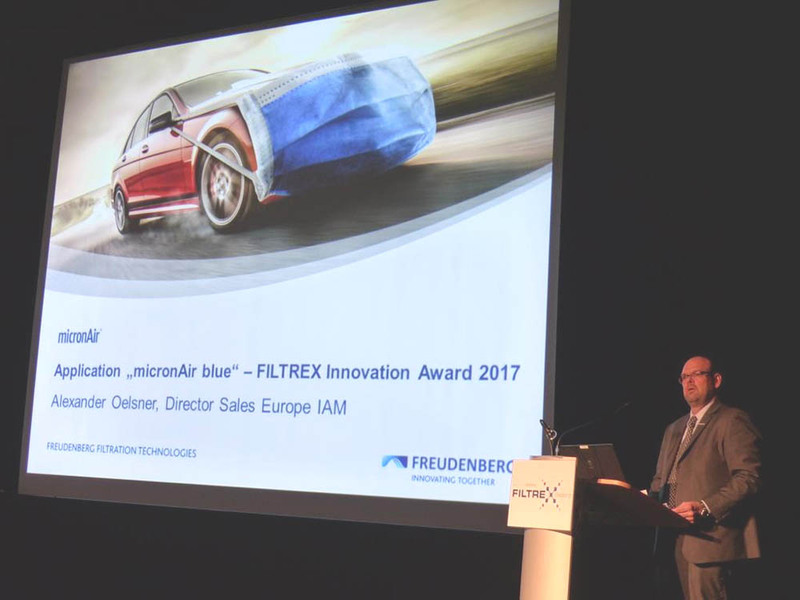 Alexander Oelsner, European sales director for Freudenberg Filtration Technologies, introduces the award-winning new micronAir blue media. The effect of fine and ultra-fine particles on human health was a key issue at the 7th EDANA FILTREX filtration conference, which took place alongside the INDEX 17 nonwovens exhibition in Geneva, Switzerland, from April 5-6. As noted in the preview in the last edition of International Filtration News, the keynote address was given by Professor Nino Künzli, deputy director of the Swiss Tropical and Public Health Institute (Swiss TPH), who said that there has been immense progress in establishing solid evidence that ambient air pollution can have very negative health effects, and that the burden of disease is significant. A related major topic was the new ISO 16890 standard, which Thomas Caesar of Freudenberg Filtration Technologies said resolves the limits and weaknesses of the two standards it supersedes – EN 779 in Europe and ASHRAE 52.2 in the USA. Chris Ecob of Camfil explained that ISO 16890 involves testing with three different particle sizes within the range of 0.3-10um, and the results relate directly to performance against PM1, PM2.5 and PM10 levels. Dust loading, as an indication of filter life, is measured using fine dust and there is a mandatory and tough discharge method. 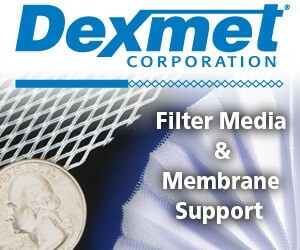 To qualify for ePM1 and ePM2.5 classifications, filter media must achieve a minimum 50% efficiency. 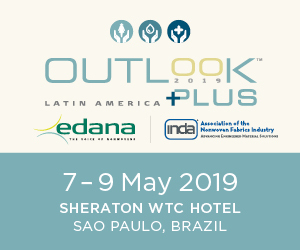 The best available filter media in 2017 were put under the spotlight at EDANA’s first Filtrex Innovation Award, which underlined the fact that single materials are often no longer sufficient and multi-layered hybrid products are often now required in many applications. The award was claimed by Freudenberg Filtration Technologies for its new micronAir blue multi-layered material. Freudenberg introduced the very first micronAir cabin air filter back in 1989, to set a new standard for health protection and safety inside vehicles. Highly effective in removing fine dust, pollen, road dirt, soot and bacteria, the initial media was followed in 1996 by the launch of the micronAir combi, which added an additional layer of activated carbon to also absorb odors and gases. “MicronAir blue takes this performance a stage further by combining varying density synthetic fiber layers in a single product in order to effectively handle everything from coarse matter to ultrafine particles,” said Alexander Oelsner, the company’s European sales director. It consists of two top layers in a patented design to deal with fine dust and microorganisms such as fungal spores, and below it is the activated carbon layer to deal with harmful gases and unpleasant emissions in the vehicle interior. Below this, is a new biofunctional layer, which is based on a unique fruit extract that is biocide and nanosilver-free. 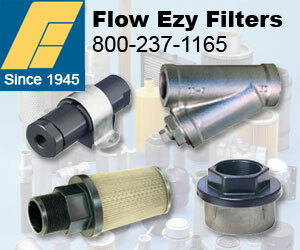 This has a superior long-term effect in dealing with air-floating allergens. Mathematical simulation of filter blocking carried out by the Fraunhofer ITWM in association with Lenzing on the advantages of microfibrillated lyocell. Other media nominated for the award included Sandler’s enAirsave, which combines several layers of staple and meltblown nonwovens in a bid to achieve the best balance between energy efficiency and low pressure drop, which the company’s senior R&D manager Lorenz Summa said was always the goal in HVAC applications. EnAirsave has an optimized geometry to make it easily converted into pocket filters and is equipped with a special backing material to ensure it is completely self-supporting and won’t sag after conversion. Johns Manville’s three-layer hybrid media combine microglass and synthetic fibers to exploit the advantages of both. Sales manager Roger Eckrich explained that the microglass is based on bio-persistent glass for 100% mechanical filtration with a combination of coarse, fine and microfibers. The open structure of the microglass layer provides high dust holding capacity. The polyester-backing layer is a high loft, thermally bonded product consisting of coarse fibers, to provide high volume and low pressure drop. A second polyester layer is added to the top of the glass layer in a spray coated lamination process. No barrier is created between the two, Eckrich said, and no adhesive is employed which could cause separation. Compared to standard glass media, dust holding capacity is improved by between 30-40% and pressure drop is 5-10% higher, he added. Ahlstrom’s StatGuard is a cellulose/synthetic pulse-jet media for industrial air pollution units, which has been engineered with conductive/dissipative properties to promote electrostatic charge decay and prevent spark ignition in high-dust environments, for safer working environments. It is coated with nanofibers by electrospinning and has a self-supporting pleated structure. “The StatGuard media has very stiff and deep grooves and can be run very fast on rotary pleaters,” said Jan Kaukopaasi, Ahlstrom’s market development manager. Europlasma’s Nanofics machine and process was also nominated for the Filtrex Innovation Award. This ecofriendly nanocoating system is affected by plasma generated by an electromagnetic discharge in a gas at low pressure and low temperature. 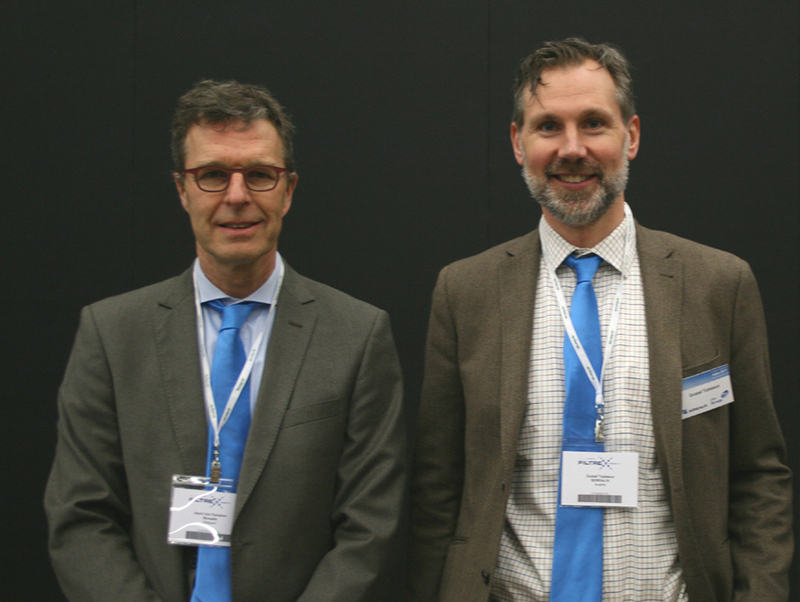 Gustaf Tobieson and Henk van Paridon of Borealis introduced a new polypropylene meltblown polymer for finer fibers. In other developments, Andy Slater of Lenzing explained how the incorporation of microfibrillated Lyocell within a media formulation can increase the fine particle filtration efficiency of sheet filters, and described work with the Fraunhofer ITWM on mathematical simulation for assessing the effects of fiber and formulation variables on performance. 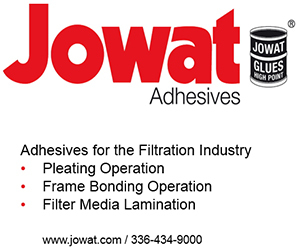 The microfibrillated cellulose is being used as a component in glass-free filter media and gradient pore structures in multi-layered constructions can further maximize their efficiency and capacity. Gustaf Tobieson and Henk van Paridon of Borealis introduced a new polypropylene meltblown development allowing the production of finer fibers the company believes will allow a step change in nonwoven performance. The production of finer fibers, they explained, can be achieved in today´s existing production systems by lower output on the meltblown line, but this is limited by economics, something the meltblown machinery builders are seeking to address. Higher air speeds and vacuum also result in finer fibers through achieving the highest elongation on the molten fiber at the die exit, but the limitation here is currently fly formation. Again, the machinery builders are working on improving air and vacuum systems. 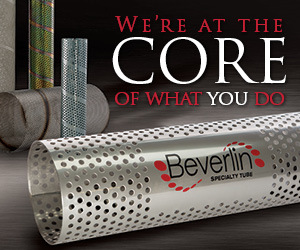 Working at higher temperatures results in lower viscosity and finer fibers but the limitation here is the so-called ‘shots’ – hard plastic spots – that are generated. This is an issue Borealis has overcome with its latest PP polymer innovation. The new development grade/s are said to result in a 25% improvement in quality factor (QF) and in a higher filtration efficiency of the resulting web. Based on a 20gsm, 500mm uncharged web, the new polymer has a 35% higher pressure drop and around 40% higher filtration efficiency compared to one made from a reference grade polymer. Christian Gherkin introduced the Nanoval spinning process, which is based on Laval spinning, with which larger holes allow the processing of many different raw materials. With the Nanoval system, it is possible to simultaneously produce both fine and coarse filaments in order to produce multi-denier webs. 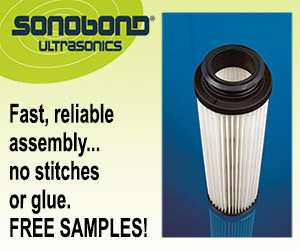 It is also possible to produce cellulose spunlaid filters with fiber sizes of less than 10um with the system. Hollingsworth & Vose Nanowave LM media, which combines fine fibers and an extended surface area to provide stable, mechanical efficiency and low pressure drop, is now market proven. The introduction of new Nanwave LM with a more durable backing substrate will allow the product to be used for new applications such as in gas turbines and food and beverage applications, as well as new markets such as vacuum cleaners, exhaust air and cabin air products. It can also now be pleated for HVAC systems, and fit in rigid and box-type filters. “Initial tests suggest that this product has a similar pressure drop to market leading mechanical filter panels but will improve product lifetime by between 30-50%,” said Bastian Keil, the company’s director of global product marketing.